With a love for architecture and a passion for woodworking we put design and craftsmanship into every cabinet we build. Our staff at Westwind Woodworkers is comprised of experienced woodworkers, finishers, and installers who take pride in everything they do. You can expect quality craftsmanship at affordable prices from Westwind Woodworkers. Whether you are remodeling your home or office or building new, for "Cabinets that say WOW" contact Westwind Woodworkers. 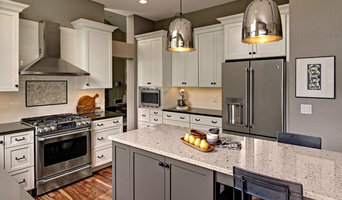 At Dovetail Kitchen Designs, our creativity and inspiration comes from your passion. Whether you are designing a new home, planning a remodel of your current home, or just wanting a small change to make an area of your home more functional, we take the time to understand what you want in your new space. We believe that a successful project is the product of great design, open communication, and proper execution. Building is a fun and exciting process, and we want you to think so too! We have found that designing an intimately personal space, such as a kitchen or bathroom, is best achieved through a systematic process uncovering your individual goals and needs. Once these are established, we can address them with specific custom solutions for you. 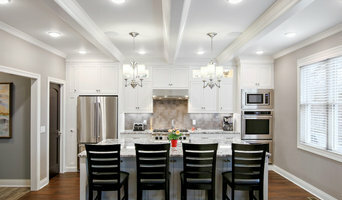 Our goal is to inform and educate our clients at every opportunity in the home designing process. When a project begins, we work with you every step of the way to ensure you receive excellent customer service and superior architectural design. We work as advocates for our clients, acting as a liaison with builders to create outstanding, custom-designed homes and spaces. Everything we do—from concept to design to construction—is designed specifically for you! What does a Nowthen kitchen designer or bathroom designer do? 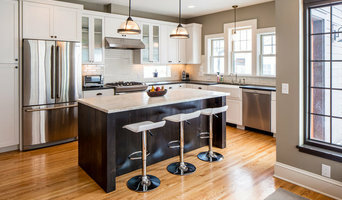 A kitchen and bath design professional in Nowthen, MN knows to take all of these crucial points into consideration and can help plan the layout, materials and overall look and feel of either of these rooms in your home. Kitchen designers, as well as bathroom designers, are constantly staying on top of trends in the ever-changing industry. The designer also knows the best layout for your room, and can configure the layout for optimal functionality and utilization of the space. In the kitchen the refrigerator, stove and sink should be laid out in relation to one another, and it should be seamless and easy to move from one to the other. A Nowthen kitchen and bath designer will know how to work with a contractor and architect to plan the flow of the room to work best for your needs. Here are some related professionals and vendors to complement the work of kitchen & bath designers: Kitchen & Bath Fixtures, Appliances, Tile, Stone & Countertops, Cabinets & Cabinetry, Woodworkers & Carpenters. Before you talk to bath and kitchen designers in Nowthen, MN, consider how you will use the room. For your bathroom, is it necessary to have a bathtub for bathing kids or pets, or would a shower suffice? Perhaps all you need is a half bath for downstairs or a smaller guest bath for occasional use. Similarly, for kitchen renovations consider your cooking habits. Do you eat out every night but need a space to entertain in? If so, a smaller kitchen might be fine for you, with a space devoted to wine storage or a bar, whereas others might prefer a bigger stove or extra cabinets. When interviewing Nowthen kitchen and bath designers, make sure to share these habits so they can best fit the room to suit your needs. Find a Nowthen kitchen designer or bathroom designer on Houzz. 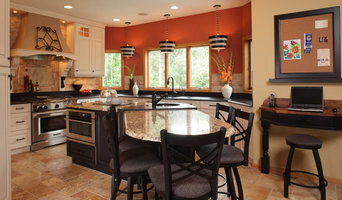 Narrow your search in the Professionals section of the website to Nowthen, MN kitchen and bath designers. You can also look through photos in Nowthen, MN to find a kitchen or bathroom you like, then contact the professional who designed it.